" Le colonne dei medici " un segreto nascosto - FLORENCE LIVE! 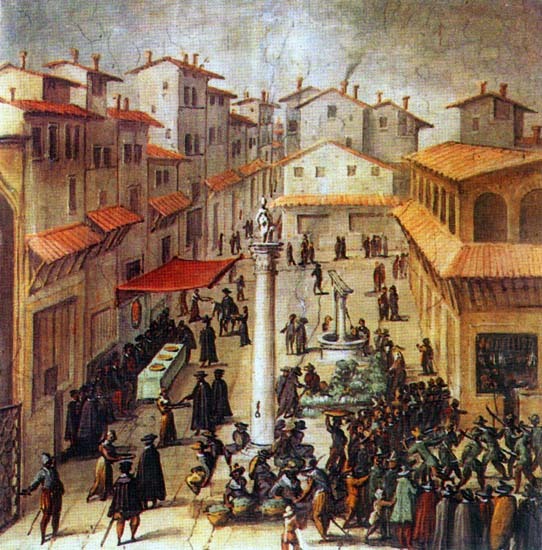 The first column was posizionata in Saint public square Trinita, in memory of the taken one of Siena, the second one in Saint public square Felice, for the Victoria of They march, and third it was realized for Saint public square Mark is never mails you for one series of vicissitudes. The history tells to us that, two times this column returned underground, and two ricomparve, after its sortie from the quarry. 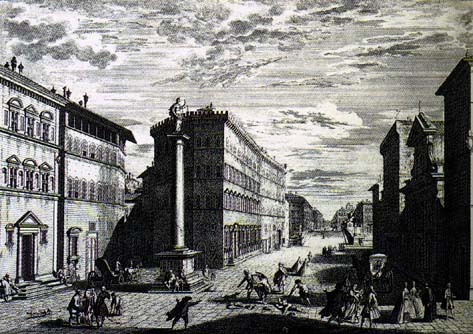 The fact had the Granduca Cosimo to raise two columns in various points of the City, from S.Trinita for the taken one of Siena, and other from S.Felice in public square for the Victoria of They march; when it thought to erect third for adorned of the City, on the public square of S.Marco, in face to Wide Way. But it did not want the destiny: anco one knows year their stars. This marble cylinder of Seravezza in Florence of' 27 entered. Settembre 1572, wide of diameter arms 3. and half, and high 21. and half; and it was placed lying in said Public square, supported from some tronconi of beam.